The McKinney Independent School District is getting ready to build the Lone Star State’s next mega-stadium. The McKinney Board of Trustees has proposed building a $50.3 million dollar stadium as part of a $220 million bond issue that could be voted on by residents sometime in May. The new stadium would seat 12,000, which would match the seating capacity of Katy‘s new stadium that is expected to cost as much as $61 million. If Katy’s new stadium costs $61 million to build, it would be slightly more than Allen‘s Stadium that carried a price tag of $60 million. 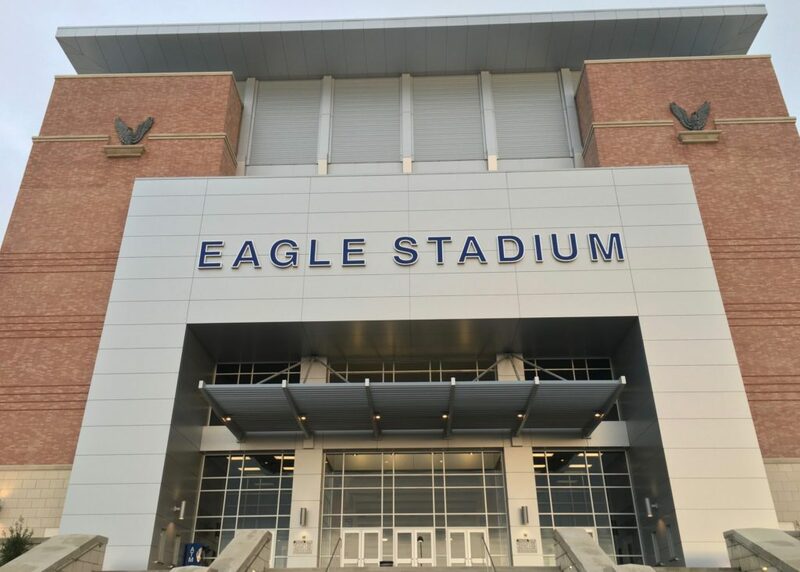 Allen’s Eagle Stadium was built for $60 million and seats 18,000.